Sponsored content is a highly effective way of gaining exposure for your brand. The aim of this entire experience is to give visitors a glimpse of what exactly you offer through your services/product. 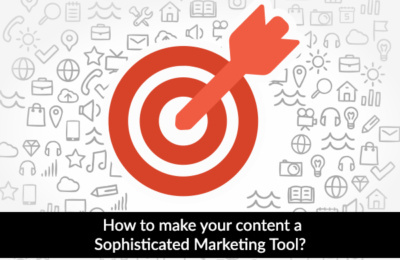 However, the task of content marketing comes along with some basic necessities that not only strengthen the message but help to push your product forward. Content that has been featured on websites needs to have one very basic element – it needs to stand out. It needs to stay ahead of the crowd and grab the visitor’s attention before the others do. Websites usually host featured content, not only for one specific product but an entire range of products. This dilutes the visitor’s attention and minimizes chances of your ad getting his interest. In such a scenario, the best way to incite interest in a person is to tug at his amusement. Most ads that you and I have both attended have managed to keep us engaged, rather than showcase a product. And that’s how the product sells. A marketing strategy is sure to fail if it borrows from something tried out in the past. This is especially true in the case of content, where a lack of authenticity is sure to undermine the effect of the attempt. Sponsored content is now prevalent in a large scale online, and one of the last things one should do is to use pre-existing content as a template for his content. In other words, attempting to design one’s content in the shoes of similar products featured on other websites, or borrowing from such websites is unlikely to succeed. If visitors that go through your content can scan a comparison with something they’ve read elsewhere, it dilutes the importance of the product in their minds. When structuring content for online marketing, one needs to keep in mind that viewers are more likely to relish content that is genuine and unique than those that aren’t. It is a crucial factor when trying to sell, and when trying to gain anyone’s attention. Content that is meant to appeal to potential consumers need to give them a brief insight into a product, while at the same time, laced with some engaging themes. Content that is dry and uninspiring is less likely to appeal to today’s customers. A company needs to push its product with more than just the details of it. Tickling the customer’s sense of humor helps to enhance his interest in you and what you offer. In the end, wit ensures that the audiences are kept in a lighter mood when learning about your product, and this makes a huge difference in marketing. One of the founding principles of content writing across all fields, apart from marketing, is creativity. In the world of writing, nothing goes forward without the help of creativity. This pivotal element plays an even more important role when it comes to advertising. Apart from making the content distinctive and interesting, it ensures that the customer gets a strong field of view what it is that you have to offer. The product/services have to offer can only be portrayed clearly with the help of good, innovative writing. Creativity makes audiences comfortable with any particular brand, building an initial level of trust for them to approach you with. Confident, innovative language when marketing your product is therefore, the foundation of success. 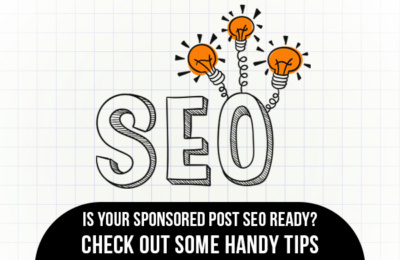 When using sponsored content to market your product, the foremost feature to look for is a strong description. It is crucial to ensure that audiences are given a clear and authentic sight of your product. Marketing tactics need to be rooted in a factual, valid field to work. Building a strong brand image needs to occur through giving consumers the truth, without having exaggeration on any end. This helps to put the good word out there about your firm and thereby bring in more loyal customers. On the downside, giving flawed and wrong information is all that is needed to tarnish your image and spread the negative word about your brand. Marketing is one of the toughest fields out there. And on the web space, it gets even rougher, with tides of ads competing for attention. 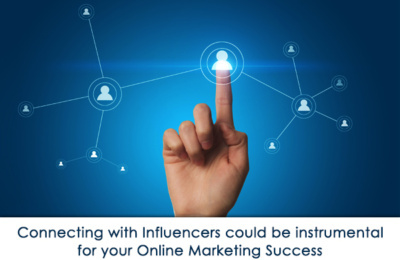 In such a system, a must-have for content that aims to seize attention is fleshed-out attractiveness. Sponsored content needs to be framed, structured and shaped in a manner so as to look and sound perfect. Fine and precise language needs to be utilized to ensure that your efforts not only captures people’s attention but has them willing to go further and have a shot at your product. These simple and easy tips give featured content what it needs to tug at people’s attention. In the overly dominated web, featured content requires much more than good writing and a strong product. These key elements help to infuse a human character into the write-up that gets audiences to pay attention to what you have to say.